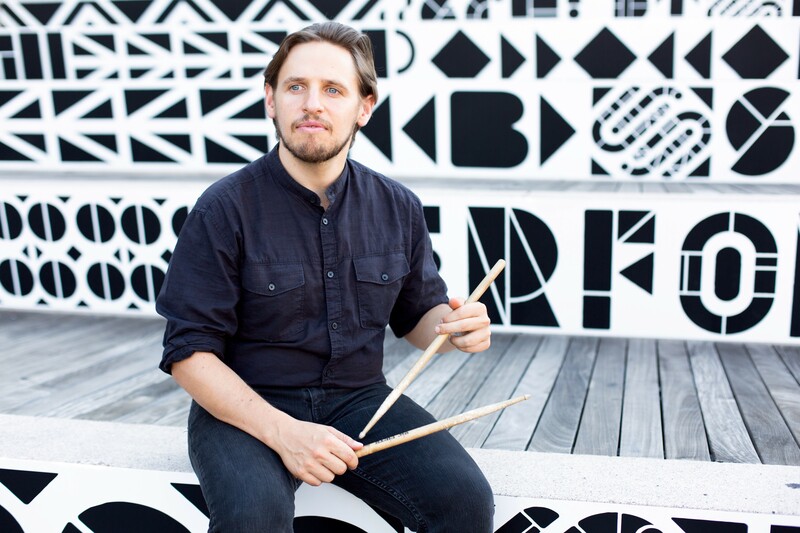 Drummer Vinnie Sperrazza has been part of the New York jazz scene for more than decade, most often working under someone else's leadership. He's nonetheless been exerting his own musical personality, which straddles postbop fundamentals and relatively outward-bound tendencies, in collective efforts with the likes of pianist Jacob Sacks and saxophonist Matt Blostein. Three years ago he dropped his first record as a leader, Apocryphal (Loyal Label), on which he employed bassist Eivind Opsvik to anchor the extroverted machinations of guitarist Brandon Seabrook. Today Sperrazza displays a more "inside" sensibility with the release of Juxtaposition (Posi-Tone), a reserved quartet album that occasionally generates the appealing creative tension suggested by its title. The drummer is joined by bassist Peter Brendler (a straight-ahead player who pushes his music outward via curatorial choices, such as using trumpeter Peter Evans in his own groups), pianist Bruce Barth (one of the most respected and thoughtful mainstream figures in New York), and the wild card of the band, reedist Chris Speed (best known for his membership in adventurous combos such as Human Feel and his long-running role in Tim Berne's Bloodcount). As you can hear below on the album opener, a blues called "Chimes," the group flirt with a moody sound redolent of the early John Coltrane Quartet or the Miles Davis Quintet, but as the record rolls on they explore different vibes. The title track is a minimalist marvel that allows Speed and Barth—who leads his own trio tonight and tomorrow at the Green Mill—to duet with beautiful patience, conveying an affecting, somewhat bittersweet tenderness through a luxurious sense of space and the saxophonist's bone-dry tone. Sperrazza says he pictures different scenarios when he composes—the playfulness of "House on Hoxie," for instance, reflects memories of the home where he spent much of his childhood, and the pensive sorrow of "Solitary Consumer" evokes a single working man who descends into loneliness each night. Sperrazza wrote most of the material on the record, but the band cover the James Williams gem "Alter Ego," turn in a lighter-than-air rendition of the ubiquitous West Side Story ballad "Somewhere," and utterly transform "This Night This Song," a lesser-known ballad by the Tony Williams Lifetime (with vocals by Jack Bruce of Cream)—they reharmonize it and chill it with the same refined elegance that Barth brings to the entire album.